In aesthetic practice threading is a suture that is placed under the skin to give the skin of the lower face a lift – a non-surgical face lift. Silhouette Soft is an FDA approved minimally invasive technique used to lift and tighten sagging tissue in the mid to lower face. This non-surgical alternative to a face-lift is growing in popularity, having been successfully performed over 25,000 times in 55 countries. 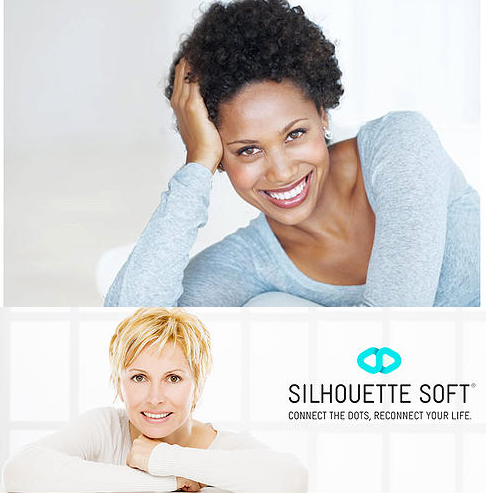 Silhouette Soft Threading is a non-surgical face-lift procedure that uses a unique suspension suture based technique. 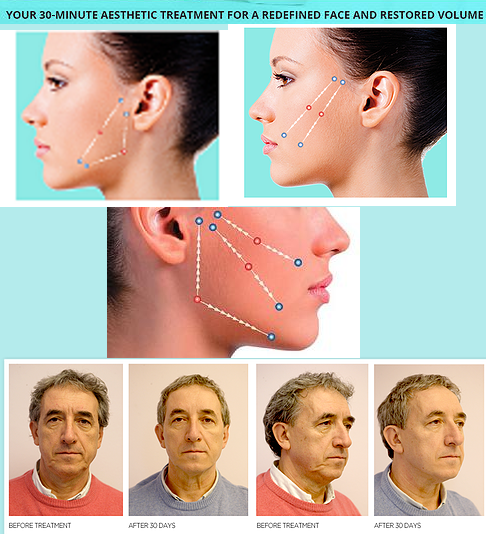 This minimally invasive anti-ageing procedure offers a discreet and immediate lifting effect. The specialised suture procedure takes about 30 minutes to perform and has a very short down time when compared to an invasive surgery. 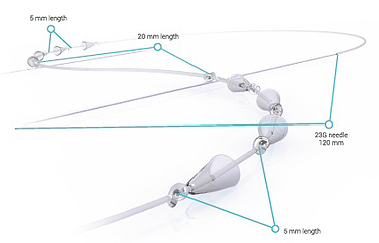 Silhouette Soft threads are the only sutures with bidirectional resorbable cones on polylactic acid sutures. This offers you an effective minimally invasive, non-surgical alternative to the more invasive anti-ageing treatments. A lifting action for discreet and immediate results: as soon as the suture thread is applied, the doctor reshapes the treated area by means of a double action: compressing the tissue and lifting the skin due to the bidirectional cones. A regenerating action for gradual and natural results: by resorbing the thread, the polylactic acid acts in the subcutaneous tissue and stimulates fibroblast activity and collagen production, thus restoring shapeliness to the face. After a small local anaesthetic, the doctor inserts the suture under the skin to a depth of about three to five millimetres. No incision is required, as the suture is inserted using a fine needle. It is held in place with absordable cones in opposite directions (biderectional). Once the suture has been appied, the doctor performs slight compression of the tissue to reshape it by hand and to obtain the desired lifting effect.